Estate of William Herman Windsor v. Shore Radiology, P.A. This is a medical malpractice and wrongful death lawsuit brought by the surviving wife and children of the victim. The defendant is a radiology practice based in Easton, Maryland. Medical malpractice cases in Maryland must first be filed in Health Claims Arbitration. This lawsuit was brought in the Maryland Health Care Alternative Dispute Resolution Office on January 5th, 2018. This is the seventh medical malpractice suit filed in Maryland in 2018. Most radiology malpractice cases are mistakes in reading radiographic tests. When they are sued, the claim is usually a failure to diagnose. For this lawsuit, that's not the case. The issue here is a CT angiogram, which was performed as indicated but not interpreted until four days later. Nothing about the radiology practice's findings were inaccurate. The allegation is that their findings should have been determined and reported sooner. In January 2015, a 61-year-old plaintiff goes to an internal medicine specialist with complaints of lower abdominal pain. The plaintiff has a known history of aortic aneurysm, a heart condition where there is abnormal bulging in the aortic wall. The next day, the plaintiff undergoes a CT angiogram which is not interpreted until four days later. When it is interpreted, a radiologist retained by Shore Radiology determines that the plaintiff's existing aortic aneurysm has grown significantly. The plaintiff is informed of these findings immediately and is presented to a local emergency room for treatment. While waiting, the plaintiff develops extreme sudden pain and becomes non-responsive without a pulse. 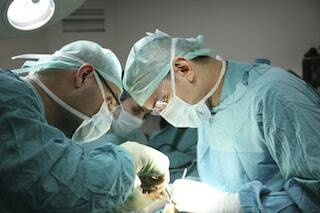 The plaintiff has an emergency laparotomy (where a surgeon cuts through the abdominal wall to gain access to the abdomen) and is diagnosed with a 3 cm hole in his heart from a ruptured aorta. Because of the ruptured aorta and significant blood loss, the plaintiff develops ischemic bowel (a condition where blood flow to the intestines is restricted). The plaintiff is removed from life support after two days and pronounced deceased. The gist of this claim is that the defendant was negligent in not interpreting the plaintiff's angiogram results until four days later. They're maintaining that the defendant had a duty to come back with findings within 48 hours and the failure to do so caused this man's death. Another issue is the fact that the plaintiff had a known history of aortic aneurysm. The plaintiffs will argue that the defense should have taken this into account when the angiogram was ordered. It isn't known if this information was communicated to the defendant. The claimants in this wrongful death suit are the plaintiff's wife and three children. They're seeking wrongful death damages including emotional pain and suffering, loss of consortium and loss of companionship. The cap on these non-economic damages in Maryland is $770,000. The combined cap on the entire claim for pain and suffering damages is 943,750. The claimants are also seeking reimbursement of medical expenses and funeral expenses. The suit places blame on at least four different radiologists but only names the radiology practice as a defendant. Juries typically would rather blame a faceless practice than a doctor. The doctors are also pleased because they are not personally defendants. One of the few win-win opportunities in malpractice litigation. Plaintiff's certifying expert is Dr. Marc Glickstein. Dr. Glickstein's practice is located in Sunrise, Florida and he is board certified in internal medicine and radiology. Dr. Glickstein specializes in diagnostic radiology. In his expert report, he underscores his familiarity with angiogram patient management and the required standard of care. The report argues that the angiogram should have been interpreted the same day it was performed, based on the defendant's own internal standards. He claims that, at a minimum, the angiogram needed to be interpreted within 48 hours. He concludes that, if the angiogram had been read on time, the leaking or rupture of the plaintiff's aortic aneurysm could have been contained. The defendant failed to correctly interpret the plaintiff's angiogram results in a timely manner. The defendant failed to establish and maintain internal protocols ensuring that a patient's angiogram is interpreted within 48 hours. The defendant's failure to interpret the plaintiff's radiological films led to a delay in treatment and the plaintiff's eventual wrongful death. Has a loved one died due to the negligence of a doctor? You are entitled to justice and compensation for the harm done to your family. Miller & Zois is here to help you. We have a long history of obtaining large settlements and verdicts in medical malpractice cases in Maryland. Get a free online case review or call us today at 800-553-8082.